This is the message I preached on Sunday, March 10 at St. Timothy Lutheran Church. The text was Romans 10:8b-13. In the reading from Romans, God is the ultimate, enamored lover-who draws us to God’s self with grace before we were ever aware of God. Love and grace are lavished upon us, God doing for us what we cannot do for ourselves—that is, making us right with God. Jesus restores broken relationships with the Father. Today the Apostle Paul invites us to engage our entire being—body and soul in response to God’s action. God’s word is on our lips and in our hearts. This word is not for us alone, but for everyone. 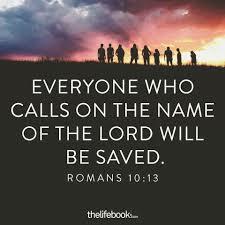 On top of that, God’s word is chock full of promises: the word is near you, you will be saved, no one who believes on Christ will be disappointed, there is no distinction, “everyone who calls on the name of the Lord will be saved.” Everyone. Israel is reassured that God’s covenant was not remote in Deuteronomy 30:14. In Christ, God is faithful to the original promise made to Israel. Paul insists that through the proclamation of the gospel, that “word is near you, on your lips and in your heart” (v. 8). A word that is near and accessible invites all to participate fully. How much we know and understand of our faith and tradition is nice, but not a prerequisite. Nothing is nearer or more present than words on lips or convictions of the heart. At Paul’s time, to confess that Jesus is Lord was dangerous. It meant that Jesus is Lord and Caesar is not. This was a powerful, perilous and treasonous proclamation for the believers in Rome. To make this confession in the city of Rome was gutsy. It would be different if these believers were in some far-flung part of the Roman Empire but in Rome? That was a different matter. How did these people have the nerve for such a confession in such a place? The word of faith actually gets inside of people. It isn’t something to only be spoken—though it is that. God’s word changes our hearts and lives. In Paul’s day, the heart was considered to be the seat of the physical, intellectual and spiritual life, including the will, the emotions and desires. The mouth gives expression to what is in the heart. There has to be congruence between the two. What is said and what we believe defines us. What is said is that Jesus is Lord and what is believed is that God raised him from the dead. The power of death was not able to contain, to hold, to destroy the goodness, grace, the love of God for creation and so Jesus was raised up on Easter Sunday morning. On the basis of this conviction and confession, we are saved. Our task is not to reach for God’s will and try to establish our own righteousness, but to live out our faith in what God has already done. Although our faith is an internal matter, it cannot remain simply that. That’s why Paul wrote that we believe with our hearts, but also confess with our mouths. They go together. In the final three verses of today’s second reading, we find more implications of God’s action in Christ. Verse 11 in our translation reads, “No one who believes in him will be put to shame.” A better translation might be, “All those who have faith on him will not be put to shame.” In/on, what’s the difference? The difference is that believing “in” is something we have to do, whereas having faith “on” Christ emphasizes Christ as opposed to personal choice. Christ does for us what we cannot do for ourselves. Christ’s faith, which is given to us through the Holy Spirit, saves us, so that Christ’s faith may live in us. His faith living in us makes a new creation, which affects both our doing and believing. When Paul writes of no one being put to shame, it means that we who put our faith on Christ will not be disappointed. God faithfully fulfills all the promises made in the gospel. Our passage ends with Paul quoting the prophet Joel, “Everyone who calls on the name of the Lord shall be saved” (Joel 2:32). No one is excluded. Everyone means everyone. God’s grace is puzzling, if not offensive. Our reaction to God’s lavish grace exposes our failure to understand the richness of God’s mercy. After all, even we, who mess up so often, are included in God’s great plan of salvation. It is universally available to all—Republican, Democrat, liberal, conservative, LGBTQI?, Lutheran, Methodist, Muslim, Sikh and every other flavor of politics and religion. All are justified on the same grounds in the same way; through the faith OF Christ. Whatever our favored political leader may look like, the call to confess one Lord takes us beyond the political divides of our time, reminding us that no political leader can be our Messiah. This frees us, as the church, to speak directly for love of God and neighbor, to forgiveness and God’s love of all people. These are values that can unite us when politics divides us. How can God’s grace be universally available to all kinds of people, even those people who drive us nuts? It is because God does the initiating in the relationship. God is the God who always comes down to us just where we are at, just where each person is at. God draws near to humanity through the gospel. Christ is present whenever and wherever the gospel is proclaimed. He is found here and now within us. Many of us think of belief and faith as something we intellectually assent to, whether or not it’s true, as in the expression “blind faith.” Paul asserts that the good news actually changes people. In his day, it brought Gentiles and Jews together into one family of God. Believing changes us into a reality in which long-time distinctions no longer apply. Calling on the name of the Lord is more than just saying, “Lord, Lord.” It didn’t get people very far in the gospels. Jesus told them that he never knew them (Matthew 7:21-22; 25:11; Luke 6:46). In baptism, invoking Christ’s name is the initial response of faith to God’s act in Christ. Earlier in Romans, Paul states that this places the whole of our lives under Christ’s lordship (Romans 6:1-23). What does that look like? We are willing to give up our pride and good standing in the eyes of others as we are called into God’s service, which doesn’t mean we are all to be professional ministers. Each day, as we listen, we will hear the voice of our beloved Lord calling to us, leading and guiding us in ways we could never imagine. It may mean that a coworker confides in you about a problem he or she is experiencing. This could lead to an opportunity to express your faith by offering to pray for that person—either right then and there if appropriate, or at a later time. If we have placed the whole of our lives under Christ’s lordship, it may mean that we could find ourselves at odds with neighbors who want to keep their neighborhood exclusive, not allowing in THOSE kind of people. How does the Lord view that? That’s what should direct our attitudes and actions. There are other times when God will give you an opportunity to verbally share your faith with others. I’m not talking about hitting them over the head with a Bible. But conversations and opportunities will arise, particularly if we have spent time cultivating a relationship with someone. Open your hearts and hands and mouths to whatever God brings your way. Something very special may happen as a result of simply being a good neighbor. God is a God of relationship. Be open to those unexpected ones God brings. It’s easier to have relationships with friends from church. But there are those other relationships through work, the gym, shopping, you name it. Wherever you are, the kingdom of God is and you have the chance to be the light of Christ and to bring that light and life wherever you go. Remember, being a part of God’s family is about more than just believing in our hearts. It’s a matter of confession with our mouths as well. Will the confession of Jesus as Lord stay in the church? If it does, we’re sunk. It needs to become part of the very fiber of our being, something we can’t help but share with others, a love story for all the world. Draw [us as] your church together, O God, into one great company of disciples, together following our teacher Jesus Christ into every walk of life, together serving in Christ’s mission to the world, and together witnessing to your love wherever you will send us; for the sake of Jesus Christ our Lord. Amen.